A DUI is a serious criminal charge that can have negative consequences for your life. For that reason, many people want to fight a DUI with everything that they have, which means they need a quality attorney to stand by their side in court. Yet, money is always a concern. Just how much does it cost to hire an experienced DUI attorney in Virginia? Virginia DUI lawyer fees depend on many factors, such as the lawyer’s experience. Other factors are discussed below. How Complex is the Case? Let’s get this out of the way: no two cases are alike, and some DUI cases are much more complex than others. Naturally, the more serious the case, the higher your fees will likely be. When you meet with us for a free consultation, we’ll go over the charges against you and review the facts surrounding your arrest. This information will help us determine what the fee for your case will be. If this is a third or subsequent arrest, for example, then you are looking at being charged with a felony. A felony on your record will have dramatic consequences for your ability to vote, get a job, and own a firearm, so it will probably cost more to defend against this type of case. What Can Increase the Cost? There are many reasons it might cost more to represent you than it would a different client. You might have additional criminal charges brought against you. These can take time to defend against and require additional preparation. You might need a thorough investigation of the scene of your arrest and other facts. This investigation can take a considerable amount of time. You might not accept a plea agreement but want to fight it out in court. Trial preparation and the actual trial itself takes time. Feel free to discuss these and any other issues you have when you meet with me. During our first meeting, I will quote the fee for your case so you can begin planning your defense. Do You Work on Contingency? No. Criminal defense lawyers don’t work on contingency, which is an arrangement where a lawyer doesn’t take any fees unless he wins your case. In fact, Rule 1.5 of the Rules of Professional Conduct prohibits using a contingency fee agreement in a criminal case. I handle all of my Virginia DUI cases as a flat / fixed fee. This means you will know at the start exactly how much your case will cost. If the police have picked you up for DUI, you might be confused about what to do. Hiring a reputable Virginia DUI attorney is a critical first step in your defense. Contact Andrew Flusche today. 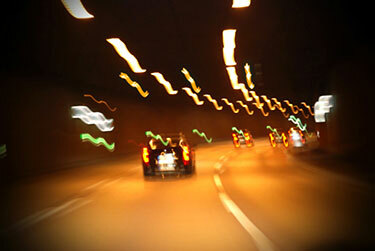 My firm has helped hundreds of motorists fight their DUI case, and we will strive to get the best resolution possible. You can schedule a free consultation by calling or sending us an online message.